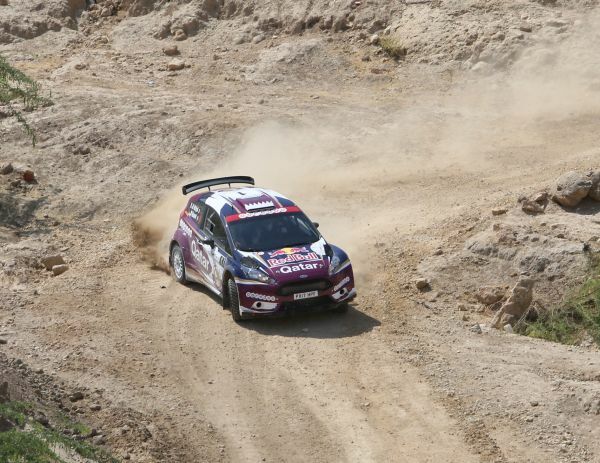 Qatar’s Nasser Saleh Al-Attiyah will match another major milestone in the history of the FIA Middle East Rally Championship if he secures victory in next week’s 36th edition of the Jordan Rally. Former driver Mohammed Ben Sulayem is the current FIA Vice-President for Sport in the Middle East and North Africa regions and has the record for the most number of MERC wins in Jordan – 12. Victory for the Qatari would enable him to equal the multiple former champion’s prestigious record. Al-Attiyah has won all but four of the events since claiming his first victory with British navigator Steve Lancaster in a Subaru Impreza WRC in 2003. Ben Sulayem won 12 times between 1984 and 2002 and that included two years when the rally did not run and two seasons when the Emirati was competing in the FIA Group N World Rally Championship. Speaking during the Qatar Cross-Country Rally at Losail this week, Al-Attiyah said: “People talk about records and, yes, it is nice to win rallies and break records. But it’s not about that. It’s about enjoying the rallies and making sure that we give a good performance. I guess if you look at other championships we have won many more rallies and, of course, I still want to win in Jordan. I like the stages and the rally very much. “I am sure the championship will come back very strong. We have seen ups and downs in the past and we always got through those. It’s great to see Vojtĕch Štajf here in a Škoda. We worked together in Iran last year and encouraged him to come to the MERC. Ken Skidmore from my team helped him with the logistics side of things. He is a very quick driver and it should be interesting to see how he gets on in Jordan. The Jordan Rally gets underway with a timed super special stage of two kilometres on the shores of the Dead Sea from 16.24hrs on Thursday, April 26th.